Helo Health - Eat your way healthy! Instead of a Black Friday weekend, we are having a Black Friday WEEK!!! Wow....some side effects of eating healthy foods, huh? 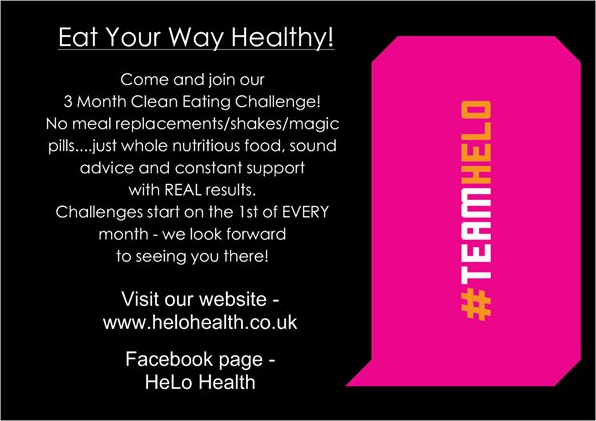 Entry into January's 3 Month Clean Eating challenge is just £35 per person until the 28th November. Hurry! After this the price will return to £49.99 per person after the sale ends!